Won for Best Visual Effects; Best Sound; Best Sound Effects Editing; Best Makeup. Nominated for Best Cinematography; Best Film Editing. When you call something the “Fair-to-Middling Edition”, you maintain a lot of area for future improvement. When you call something the “ultimate edition”, you leave virtually no room to go up from there. In 2000, Artisan produced the Ultimate Edition of Terminator 2: Judgment Day, and I found it hard to quibble with that description. Chockablock with excellent supplements, it seemed like the definitive execution of the film. However, with the theatrical release of Terminator 3 on the horizon, somebody figured a new DVD of T2 might snag some bucks. That means we get the movie’s third DVD incarnation, one entitled the “Extreme Edition”. I guess “extreme” is above “ultimate”. What’s next – the “Extremely Extreme” edition”? The “Ultimately Extreme” edition? The “Extremely Ultimate” edition? Oh, that’s enough cynicism about marketing hyperbole for one day. For most, the big question will be to determine if the “Extreme Edition” offers enough to pique the interest of those who already have the “Ultimate Edition”. That issue will be explored mainly in the technical section of this review. Here I normally spew my comments about the movie itself. However, as this is my third DVD review of T2, I think I’ve babbled about it enough. If you’d like to examine my full thoughts, click on that “Ultimate Edition” link above and enjoy. However, I do want to make a few remarks about the version of the film found on this disc. 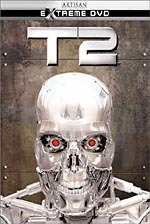 Each of the three T2 DVDs offers various cuts of the flick. Not surprisingly, the original disc featured only the theatrical edition of the movie. The “Ultimate Edition” packed three different versions. Via seamless branching, you could watch the theatrical cut, a “special edition” rendition, and an “extended special edition”. For the “Extreme Edition”, we find both the theatrical and the special edition versions. The SE lasts a hair over 153 minutes, which extends the theatrical piece by about 16 minutes. The former adds a fair amount of interesting information, though I didn't regard any of it as crucial. Some of the shots flesh out characters. We find more of Joe Morton’s character here, and I enjoyed the extra depth added to his role. Most of the scenes are essentially longer cuts of existing segments; for example, a significant addition has been made to the part in which John and Sarah repair the terminator. I don't want to provide too many details about these scenes, since much of the fun comes from discovering them on your own. Suffice it to say that as with the extended version of Aliens, compelling arguments can be made for either cut of the film. Of the three Cameron films with extended cuts now on the market, only The Abyss is clearly a better movie due to the changes; I think both Aliens and T2 work differently but are both still terrific either way. Chances are excellent that the special edition will be my T2 of choice in the future; although I don't think it really improves upon the theatrical cut, it also doesn’t detract from the experience. I've seen the movie so many times that it's nice to see something different, so I'll stick with it for the foreseeable future. Note that the theatrical cut appears here as an Easter egg. From the main menu, highlight “Sensory Control” and hit “right” five times. This will open a menu that allows you to watch the theatrical version. As for the extended special edition, those scenes appear on the disc, but as far as I can tell, you can only see them via the “Extreme Interactive Mode” text commentary option; they’re anamorphic with 5.1 audio, but this doesn’t reintegrate them into the action. 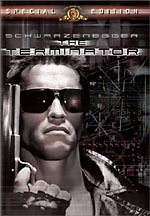 Terminator 2: Judgment Day appears in an aspect ratio of approximately 2.35:1 on this single-sided, double-layered DVD; the image has been enhanced for 16X9 televisions. While the prior discs certainly offered a lot of positive elements in regard to their visuals, they also suffered from some problems due to notable edge enhancement. Did Artisan finally get it right with their third stab at T2? Yup. The new version showed all of the positives seen on the prior discs but demonstrated none of the negatives. Sharpness appeared very strong. I noticed no significant instances of softness at any time during the movie. Instead, the image remained crisp and detailed from start to finish. Jagged edges and moiré effects never reared their ugly heads, and the notable edge enhancement from the prior releases seemed absent here. While I saw a few small print flaws on the other discs, I didn’t detect them here. This image looked clean and free from defects. The picture also came across as a little tighter, too; the others were slightly noisy at times, but that wasn’t a concern here. Colors seemed accurate. The production design of T2 cast much of the movie in a metallic blue tone and this came across properly. In addition, whenever other hues appeared, they were bright and bold; I saw some excellent reds at times, for instance. Black levels were quite deep and rich, and contrast seemed strong; the dark tones never seeped into any form of haze or muck. Shadow detail was terrific, as all dimly lit shots came across clearly and smoothly. Of the three laserdisc and three DVD releases of Terminator 2 I’ve seen, the “Extreme Edition” offered the strongest picture. While the “Extreme Edition” improved upon the picture quality of the “Ultimate Edition”, unfortunately its audio marked a regression from that set. The UE presented both Dolby Digital 5.1 EX and DTS 5.1 ES mixes, but only the Dolby one appeared on the “Extreme Edition”. Since I preferred the DTS track, its omission seemed like a disappointment. However, the differences between the Dolby and DTS mixes weren’t extreme, so it’s not like the former sucked or anything. The Dolby track provided a pretty robust soundfield that encircled the viewer during most of the movie. The forward spectrum sounded lively and active, as I heard audio from all three front channels nearly all the time. In addition, the mix provided a nicely integrated sound, as the audio in the front blended and panned between channels very cleanly and smoothly. The surrounds kicked in a great deal of ambient information; they didn't quite keep up with the forward channels, but they held their own and added a nice dimensionality to the track. All in all, it's a fine mix that really helped involve the viewer in the experience. Quality also seemed excellent. Although much of the dialogue had to be dubbed - and further altered, in the case of Furlong, since his voice changed during the shoot - speech always sounded natural and distinct, with no edginess or problems related to intelligibility. Brad Fiedel's excellent score sounded very crisp and warm, with all aspects of it seeming clear and well defined. Effects were clean and realistic – or hyper-realistic, when appropriate - and they showed no signs of distortion, no matter how loud the track got. The entire package kicked in some taut and strong bass throughout the film, and the result was an impressive soundtrack. While the “Ultimate Edition” of T2 offered a tremendous roster of supplements, the “Extreme Edition” finds some new pieces to add. 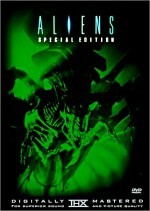 On DVD One, we start with a new audio commentary from director James Cameron and screenwriter William Wisher. Both sit together for this running, screen-specific track. The publicity folks at Artisan have made a big deal of that fact, as this is Cameron’s first-ever commentary of this sort. That sets up some high expectations; happily, the track meets them as it offers a very entertaining piece. Not surprisingly, Cameron dominates the commentary, and that causes my only complaint: he frequently interrupts Wisher to interject his own thoughts. Actually, this tendency decreases as the program progresses, largely because Wisher starts to give Cameron a taste of his own medicine; I guess the writer decided to turn the tables on his old boss, and it works. Problems with interruptions aside, the commentary really does offer a lot of great information. The pair cover many different aspects of the story and the script and explain how various parts of it came to be. Cameron also discusses a lot of technical aspects of making this complicated flick, and he still finds time to toss in many fun and interesting anecdotes from the set. I wouldn’t call this commentary one of the all-time greats, but it’s well above average and T2 fans should really enjoy it – I know I did. Next we get something called the Extreme Interactive Mode. Like a similar expanded piece found on Die Another Day, this essentially offers a text commentary that occasionally branches to show some video footage. However, unlike Day, this one requires you to manually access the extra material. That means you’d better get your clicking thumb in shape, for T2 branches on 82 separate occasions during the movie. These video snippets fill well over 90 minutes. I can’t give the entire total because some of them lack time codes, but it’s likely over 100 minutes. What do you see in that span? The branching clips offer a mix of behind the scenes images and interviews. To save bitspace, the latter only show still photos from the recording sessions. All the material from the set is normal full-motion video, though; it’s just the talking head shots that get the stillframe treatment. Throughout the movie, we hear from director Cameron, designer/illustrator Steve Burg, visual effects creators Robert and Dennis Skotak, lead makeup artist Jeff Dawn, production designer Joseph Nemec III, actors Arnold Schwarzenegger, Edward Furlong and Robert Patrick, co-producer Stephanie Austin, sound designer Gary Rydstrom, composer Brad Fiedel, ILM Animation Supervisor Steve “Spaz” Williams, sound mixer Leo Orloff, police consultant Randy Walker, stunt coordinator Joel Kramer, ILM CG Supervisor Mark Dippe, and ILM visual effects supervisor Dennis Muren. These branching clips cover many different elements of the film’s creation. You name it and it’s here. Sound design and music composition get a lot of emphasis, and of course we learn quite a bit about the visual effects and stunts. Story elements and other creative endeavors pop up as well, along with many other topics. In addition to the behind the scenes shots and interviews, other pieces like storyboards for unfilmed sequences and the two deleted snippets from the Extended Special Edition appear. While these branching bits offer lots of material, the text commentary itself contributes scads more about T2. It uses an unusual presentation. The normal batch of facts appears at the bottom of the screen, but on some occasions we also see information in the top left corner of the screen. That area identifies different visual elements; for example, it’ll tell us specifically what kind of effect appears in each part of the film. It also relates notes about locations and other things, and occasionally overlays notify us about matte lines or the names of various participants. The screen gets awfully busy at times, but it’s a cool way to relate a lot of pieces. Some text commentaries get heavily into tangential information. For example, if the movie features a Harley Davidson bike, the text might tell us a history of those vehicles. The T2 text commentary remains totally focused on the movie itself, though. It ties in with the branching segments; the text might mention scoring issues and then give us the chance to hear composer Fiedel discuss that area. The commentary provides a tremendous amount of information and really helps enhance the presentation. Because the branching moments require so much clicking, it does get a little tiresome to navigate, but the care and detail involved seem excellent. Lastly, DVD One features the THX Optimizer. Also found on many other DVDs, this purports to help you set up your system for the best reproduction of both picture and sound, ala stand-alone programs such as Video Essentials. I’ve never tried the Optimizer since I’m happy with my settings, but if you don’t own something such as Essentials, the Optimizer may help you improve picture and audio quality. Since the “Extreme Edition” of T2 covers two DVDs, you might expect a smorgasbord of supplements on the second disc. Unfortunately, that’s not the case. Most of its space is devoted to a high-resolution Windows Media version of the theatrical cut. How does this look? I have no idea, for my sorry little machine isn’t powerful enough to run it. Only those with strong systems need apply; with requirements such as a 3 GHz processor, 512 MB of RAM and a 128 MB video card, a lot of people will be left out of the loop. Otherwise, DVD Two only tosses in a few supplements. The main one is a 24-minute and 23-second documentary called No Feat But What We Make. In this program, we get clips from T2 and other movies plus some behind the scenes shots and interviews with Cameron, ILM Visual Effects Supervisor Dennis Muren, ILM CG Supervisor John Knoll, ILM Animation Supervisor Steve “Spaz” Williams, ILM CG Supervisor Mark A.Z. Dippe, Special Makeup and Terminator Effects Artist Stan Winston, and Lord of the Rings director Peter Jackson. Most of these are new, but the remarks from Williams and Dippe come from 1993. As you probably figured from the credits of the speakers, this show concentrates on visual effects. It covers a little history and gets into the use of CG for Cameron’s The Abyss. We get some notes about Cameron’s concept for a liquid metal character, hear about the use of morphing and its negative impact on the industry, various threats felt by some in the business, and a general discussion of the modern use of CG in movies. “Feat” doesn’t really focus on T2’s visual effects; instead, it prefers to inspect the field as a whole. This gives it an interesting perspective and makes it unusual and provocative. The inclusion of material from other films is also worthwhile, and it’s cool to hear from Jackson. Usually this kind of program suffers from tunnel vision; normally we’d not hear anything about other flicks, much less get comments from a different director. Overall, “Feat” seems illuminating. For those with DVD-ROM drives, you’ll find a few extra components. Two of these allow you to alter your own photos. “T-800 Match Studio” doctors your portraits with a terminator endoskeleton, while “T-1000 Morph Studio” gives your pictures the liquid metal treatment. I didn’t test either of these but they sound like they could offer some fun. In addition, we get the “Online Robot Challenge”. This purports to let you build your own droid and compete against others. However, when I tried it, the piece wasn’t functional; the link simply went to an ad for Artisan’s upcoming release of The Punisher. Lastly, T2 includes a 12-page booklet. In addition to chapter indexes and information about the supplements, it provides two essays. DVD producer Van Ling covers his history with the movie and the creation of the “Extreme Edition”, while the other text offers details about the new transfer created for this DVD. One of the all-time great action flicks, Terminator 2: Judgment Day remains very entertaining and exciting after 12 years. The movie doesn’t qualify as my favorite in the genre, but it’s quite close to the top. 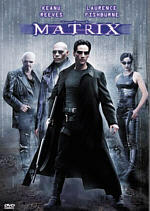 The “Extreme Edition” DVD offers the strongest picture quality yet seen for the film’s home video releases. Audio seems positive, though the absence of a DTS track comes as a mild disappointment. While the “Extreme Edition” doesn’t pack scads of extras, the ones we find do the job. The disc’s audio commentary and “extreme interactive” mode both prove to be especially enlightening. Since this represents the third DVD release of T2, recommendations become complex. I liked the “Extreme Edition” but still think the “Ultimate Edition” remains the best release. The “Extreme Edition” does offer the strongest picture quality, but the other two still look good as well; this wasn’t an enormous improvement, though it’ll make a lot of people happy. The new extras are also quite good, and for me, that’d be enough to get me to buy the “Extreme Edition”; I love that kind of stuff and would want to own the text and audio commentaries. Essentially, the “Extreme Edition” will be worth a purchase for those dissatisfied with the picture of the “Ultimate Edition” and/or those who really dig supplements. If you refuse to own more than one T2 DVD, however, I think the “Ultimate Edition” remains the best release overall.